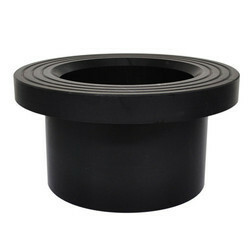 Avail from us an exemplary array of HDPE End Cap in both standard and as well as customized form. These fittings are well known for their semi-rigid and translucent polymer with good toughness and weather resistance features by the customers. Further, it has excellent temperature resistance and optimum density and ability to be UV stabilized, which makes it widely demanded in the market. Furthermore, It also hold features such as excellent quality, durability and good performance. 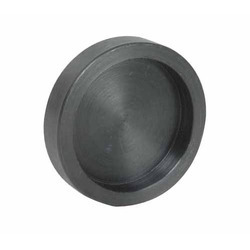 We have been able to develop and offer a range of HDPE End Cap. PP /HDPE Long Collaris reckoned amid the clients for its sturdiness and strength. This pipe end is applicable for pipe fitting and is made available in different sizes and thickness. Avail from us our range of HDPE long neck pipe ends at competitive prices.